$37.70 In stock. Order in the next 9 hours, 13 minutes and it will go out today! In stock. Order in the next 9 hours, 13 minutes and it will go out today! 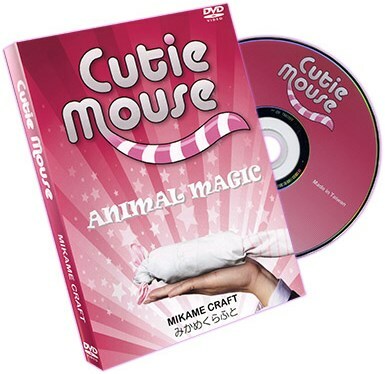 From the insightful mind of Mr. Mikame comes Cutie Mouse, Animal Magic for everyone! Made with only a handkerchief, this mouse is so cute. Instructions on the handkerchief allows for ease in folding this mouse. The instructional DVD will teach you the various movements and performance techniques while holding the handkerchief.